The cast and crew of The Refugee Women pose for a picture after qualifying for the State Conference. Junior Diana Ayala was named Best Supporting Actress, and Senior Maya Radjenovich was named Best Actress at the event! 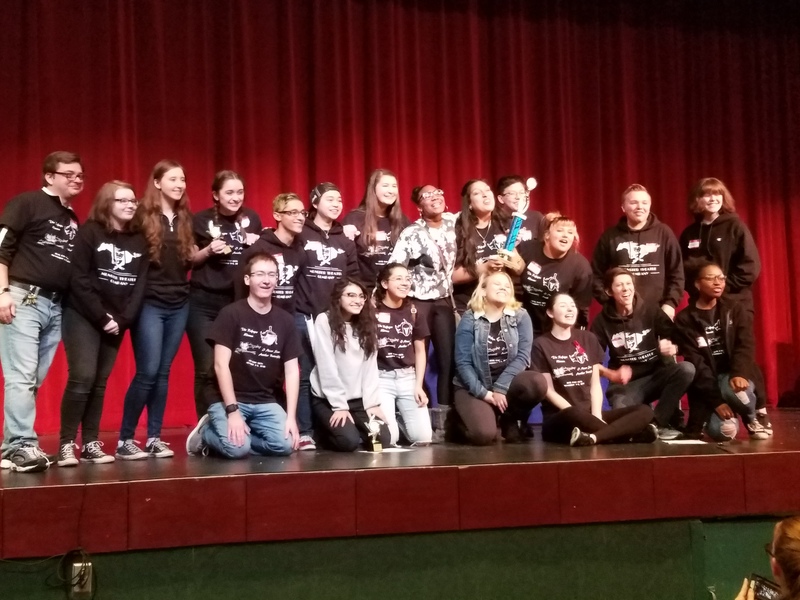 Thespian Troupe #2861 Places Second at Regionals, Advances to State!